Hit up some organic homegrown brunch at Kerbey Lane Cafe to lull the hangover, then head over for a dip at Barton Springs in Zilker Park- home of the legendary Moontower (“Party at the Moontower, man!“). Go climb up the Big Wall on the Green Belt for some green action and then see if the bats are flying out from Congress bridge, just in time for sunset. 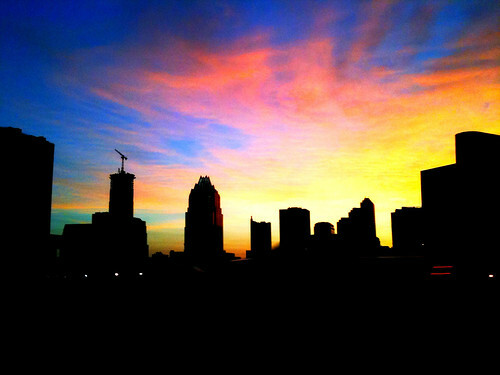 Because Austin is my town.